This Skirt is meant to perform and flatter while Super Woman (YOU!) goes for long runs, practices yoga, plays a round of golf and manages a career in between dropping the kids off at school, grocery shopping and coffee with the girlfriends. (This Skirt has you covered when your life feels like a run-on sentence). 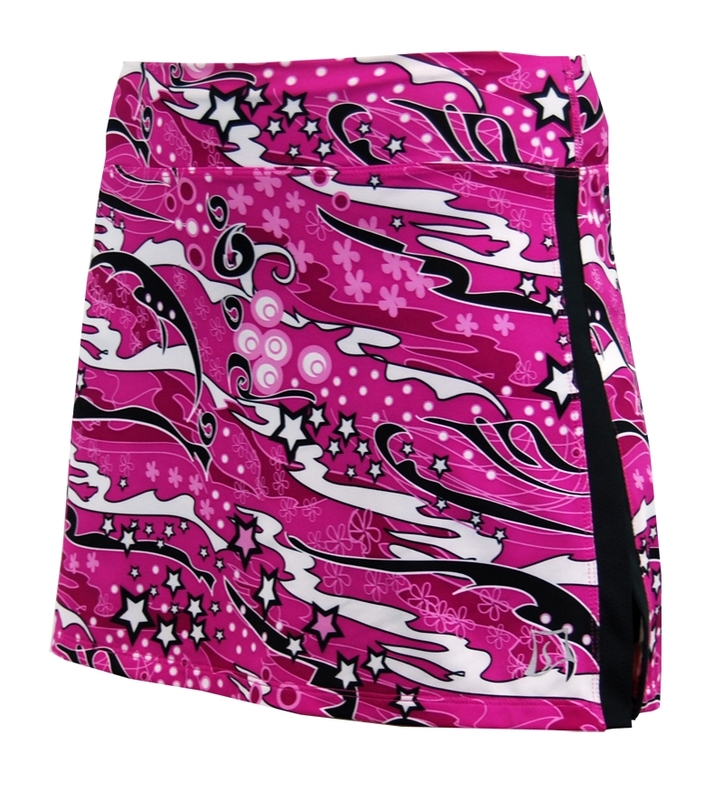 The built-in shorties have a pocket on each leg to stash your music player, keys, energy gels, ID, cash, you name it! Designed by busy women for busy women. Skirt fave feature: Shorties made of semi-compression mesh perfectly cover the biggest parts of your thighs. Chafe-free styling! Skirt fave feature runner-up: TWO pockets, one on each thigh! Built-in no-creep Shorties made from semi-compression mesh with 4� inseam. Perfect thigh placement. The Shorties STAY IN PLACE. Just say no to chafing!